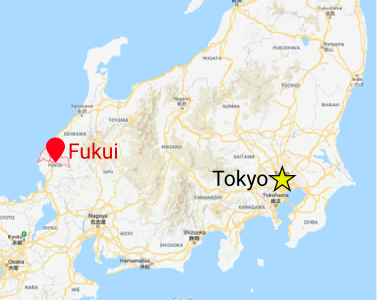 Fukui is about 315km West of Tokyo. So we left Osaka behind us and began our trip home. Well, not quite home, but in that general direction, East. 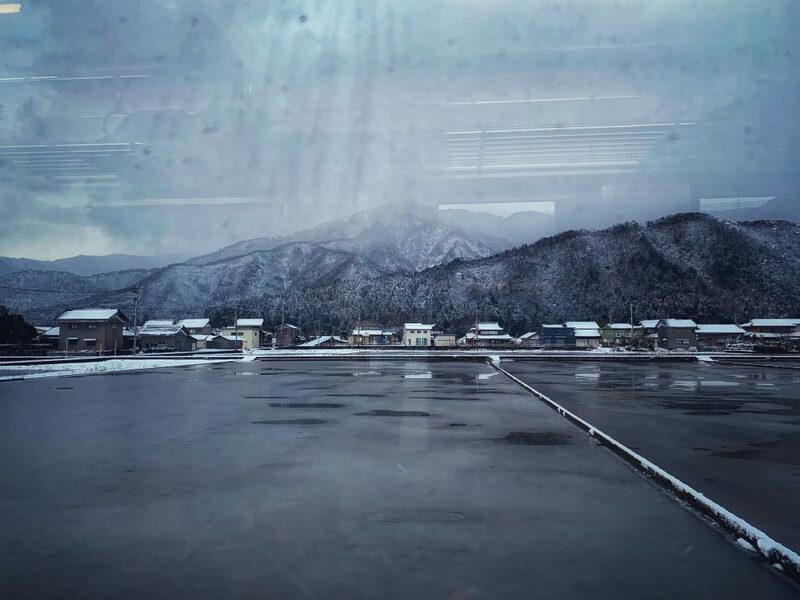 To a small little city called Fukui. Some of Shyla’s coworkers asked why we were going there? One word, dinosaurs. We weren’t disappointed either. There were other reasons to go to Fukui but you’ll see those on day 2! Immediately getting off the train you could tell things were slower paced here, and that isn’t a bad thing. It was a really nice change to the busy streets and shops we encountered so far. The station was smaller than we were used to as well, and guess what!? 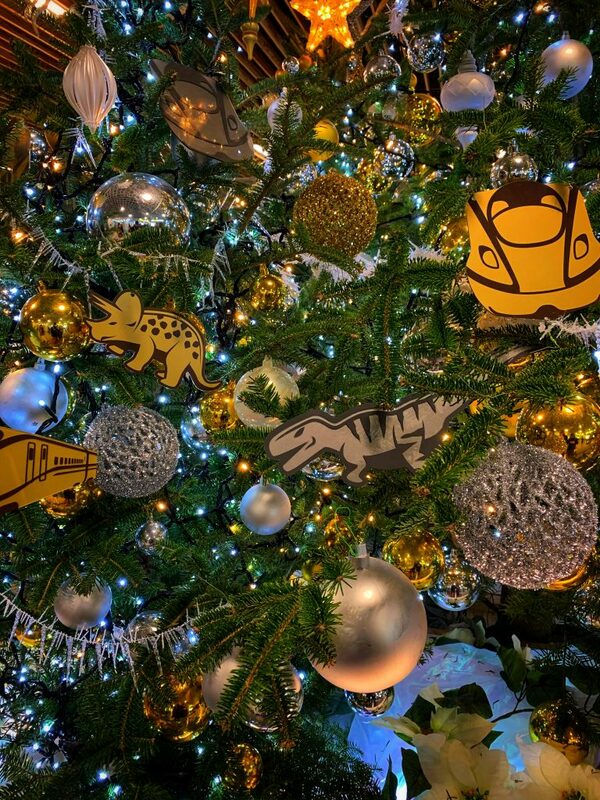 Dinosaur ornaments on a Christmas display! Christmas ornaments on the Christmas tree at Fukui Station. After freaking out about dinosaur ornaments we went outside and guess what!? More dinosaurs! Outside the station, they had two animatronic dinosaur displays! The first was one of those long neck dinos, Brontosaurus. The second was two raptors. 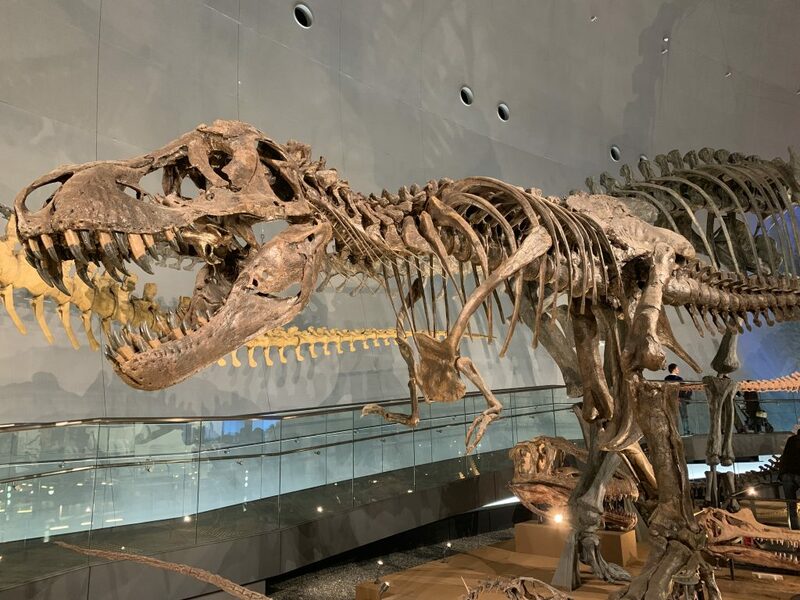 I would later learn at The Fukui Prefecture Dinosaur Museum that Fukui became famous for its Raptor discovery. 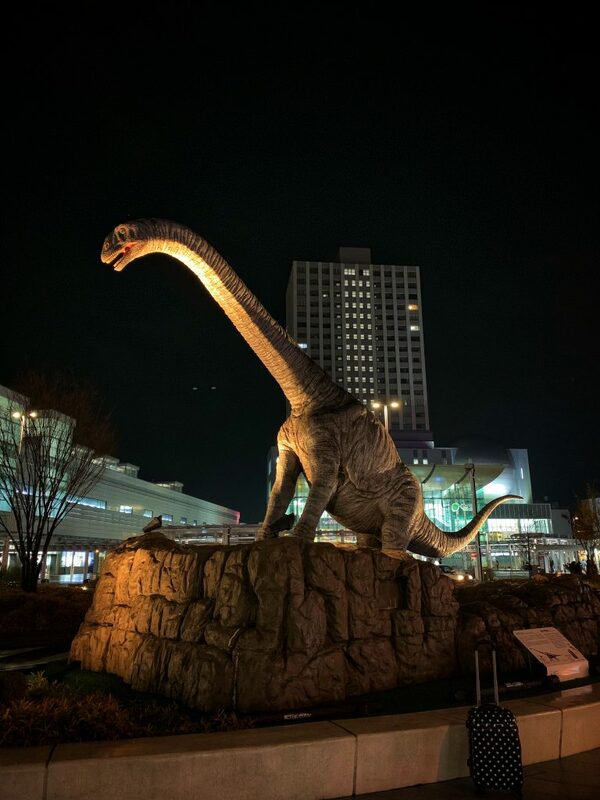 This long-necked animatronic dinosaur outside the Fukui Train Station moved and made sounds. 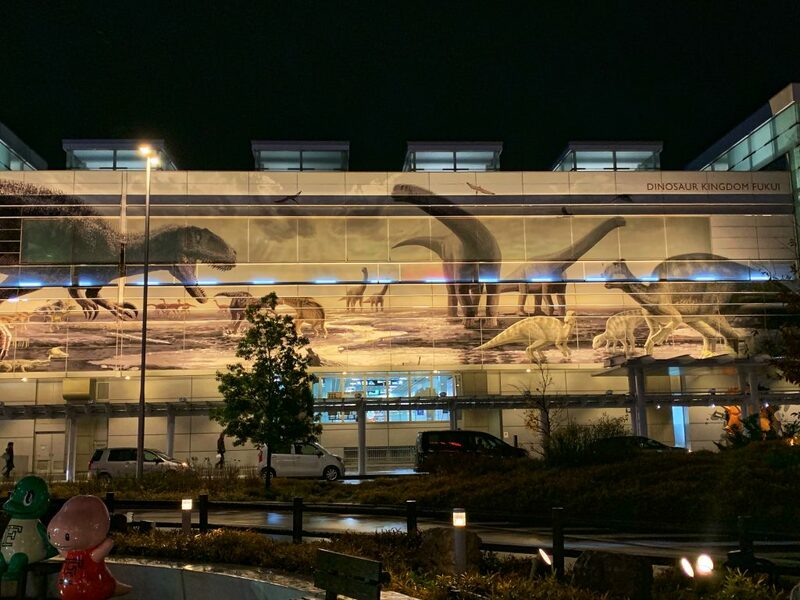 After we lifted our jaws off the ground with just how much dinosaur stuff we were actually seeing in Fukui, right off the train, we noticed a gigantic picture plastered on the wall of the train station. You’ll never guess what that was… MOAR DINOSAURS! This mural was on display outside the Fukui Train Station. So many dinosaur things! We didn’t arrive in Fukui very late (maybe around 8:00 pm once we were checked into the hotel) but it was tough finding something other than a convenience store that was open. I guess that’s part of the problem travelling on Sunday evenings? We walked around and called it a night once we found something to eat. Arrival day photos can be found here! We got a late start on day 2 in Fukui. I think we pack so much into each day that we started to become exhausted at this point in the trip. We were averaging about 15,000 to 20,000 steps per day so we were pretty active, I’m not surprised to be tired at this point. 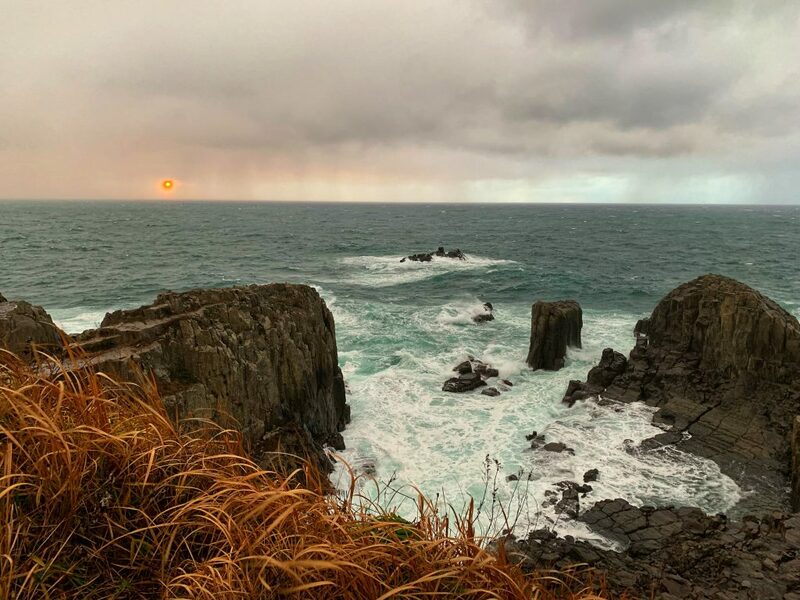 Our plan was to do some hiking along the coast and to explore the Tojinbo Cliffs, just outside of Fukui. Anyways, the sun managed to hold off the rain until we got to the cliffs **shakes fists at the sky**. 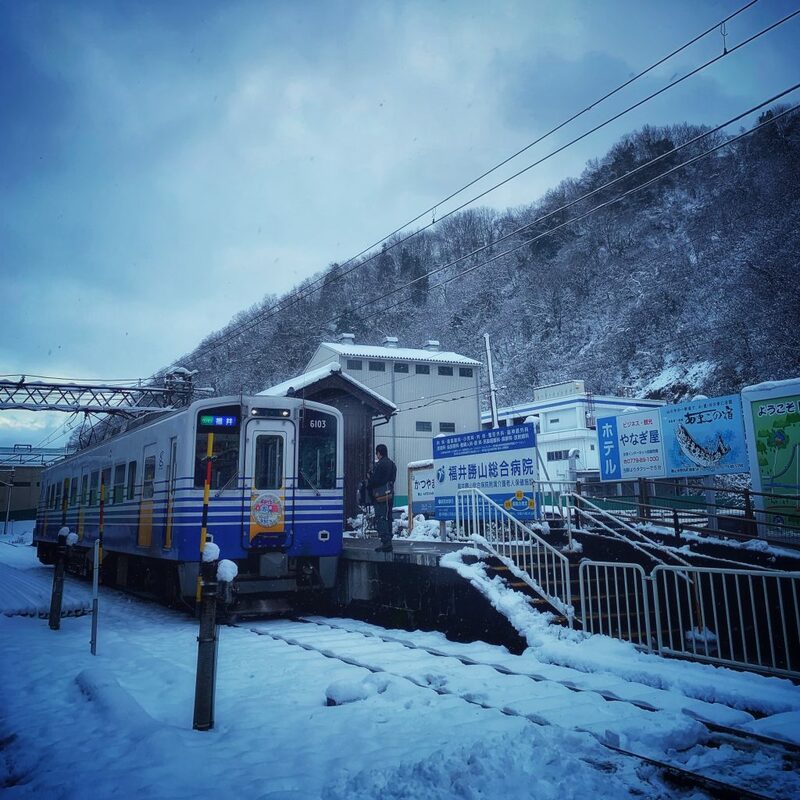 We took a train ride out of Fukui, on a cute little line that goes back and forth to a station about 30 minutes away from the cliffs. 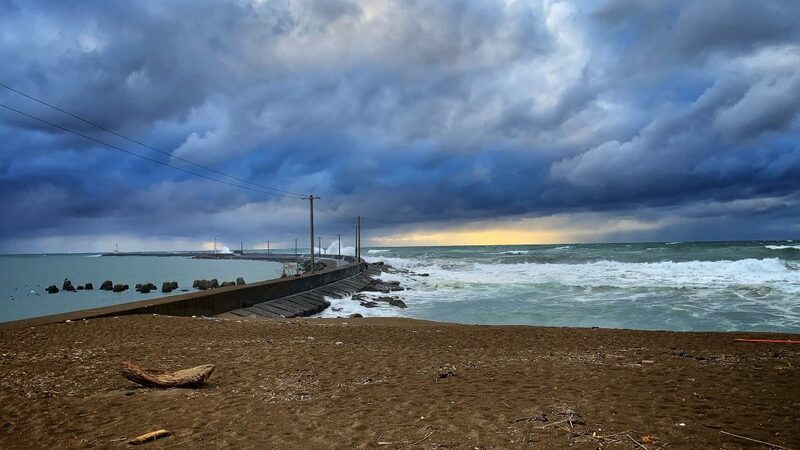 The beach provided us with a stunning view of an increasingly turbulent Sea of Japan. 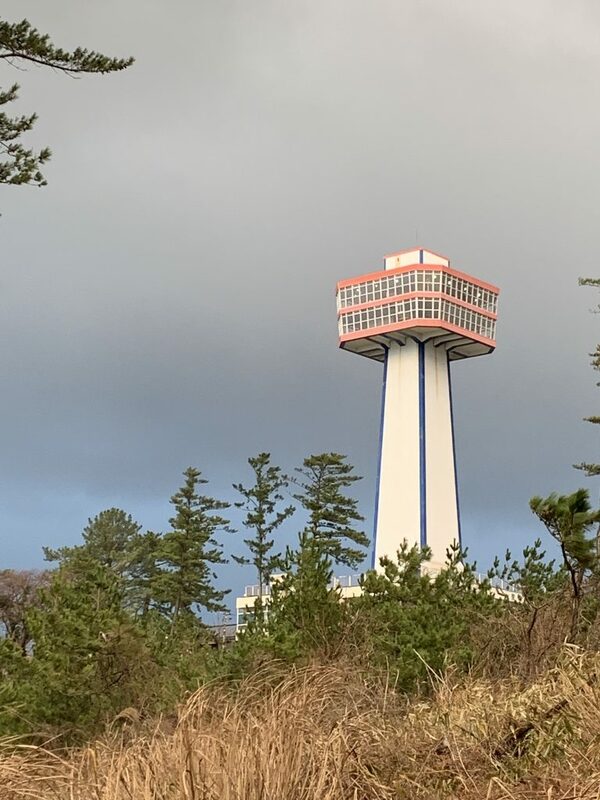 There was bad weather on the horizon, sweeping in from the North East that provided us with good photos and some motivation to get to the Tojinbo Observation Tower. The bad weather started rolling in from the distance. The waves crashed beautifully against the beach. Look at the storm clouds brewing in the distance. Remember when I told you Shyla was afraid of open water, boats, and drowning? Not today, she seemed ready to tackle stormageddon, while simultaneously ruining more beautiful photos! Shyla can’t stop ruining photos! I’m kidding, she enhances them! 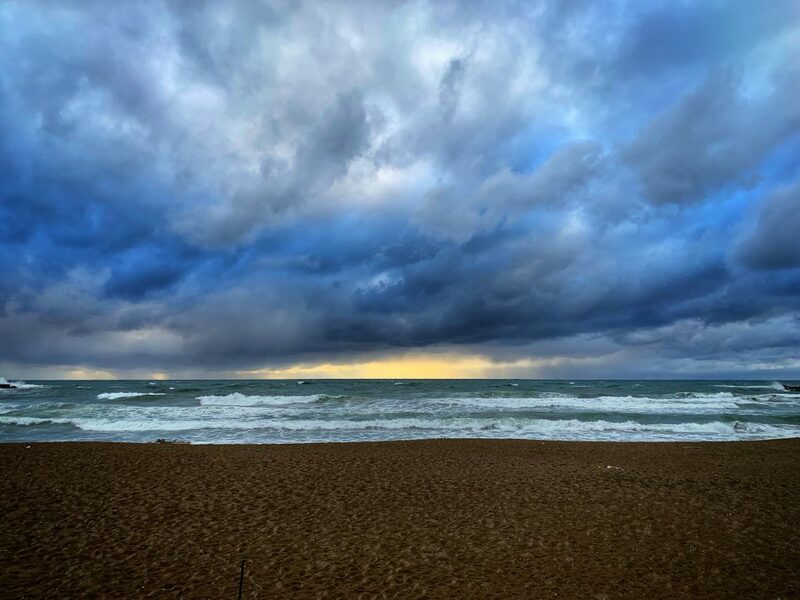 The weather really started to get ugly as we walked from the beach to the cliffs. There were almost no other people that we could see as we made our way to the Tojinbo Observation Tower. 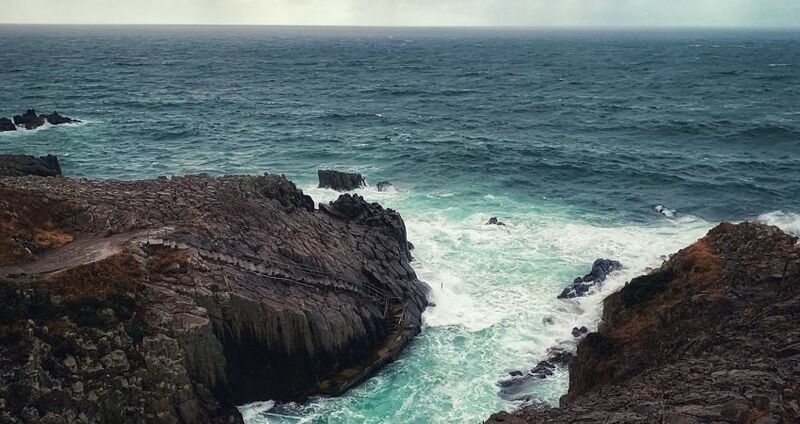 It was mostly wind and rain but when you are standing on the edge of a cliff, overlooking a huge body of water without anyone around, that gets worrisome. We did happen to catch a rainbow and if you look closely, you can see where it touches the ground. It was quite a beautiful sight to see. 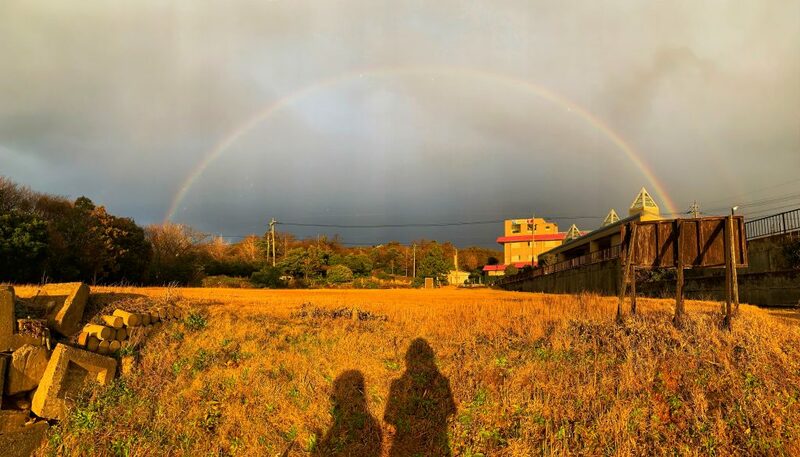 If you look closely on the left, you can see the rainbow touches the ground in the field. Tojinbo Observation Tower sticking up over the trees and bushes. When we reached the Tojinbo Observation Tower, it was closed. This seems to be our luck on these hiking expeditions. While the observation tower was closed, the cliffs themselves remain open. So we wandered down to see them. We spent probably about 20 minutes exploring the cliffs and getting photos, it was getting dark and the wind almost blew our phones out of our hands, so we felt that this was a pretty good indication we should probably make our way back to the train station. 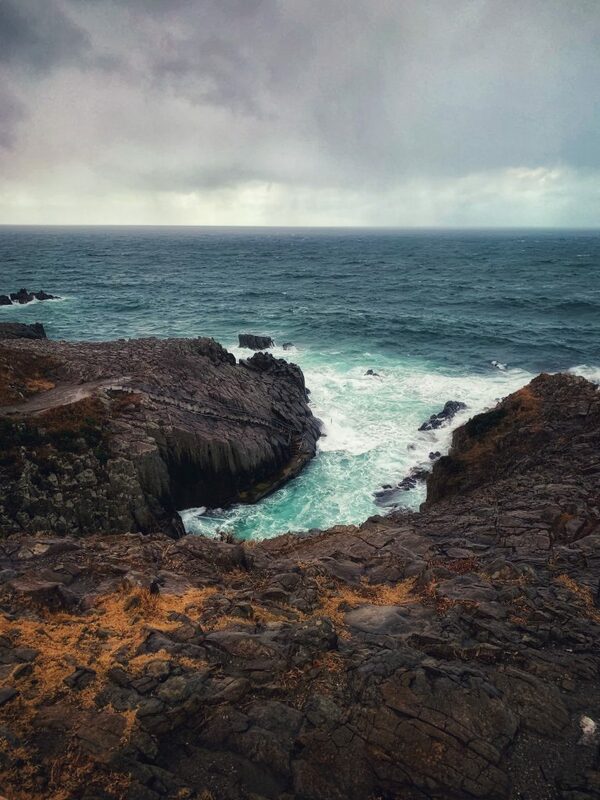 The cliffs were stunning, even if the weather wasn’t the greatest. More beautiful shots of the cliffs. Look at the staircase leading down to the water. Along the way, we walked through a small town, just at the top of the cliffs (near the observation tower). Most stores were closed but some remained open. Of the ones that were open, most of them sold food, such as fresh fish. Shyla and I assumed that Fukui must be more of a summer travel destination. This area made me think of Wasaga Beach, a town I grew up close to. If you visit the main strip of shops in Wasaga Beach during the winter months, you’re going to be out of luck, most are going to be closed. Instead of going back to the station we got off at, we decided to walk back to the second last station. It was slightly bigger than the final stop and it was only about a 15-minute walk further. It had a ticket counter, which made Shyla more comfortable purchasing tickets. If we had got on at the last stop, we would have had to pay one of the train attendants or something? It was extra work that could be avoided with a bit of walking, so we decided to do some adventuring. 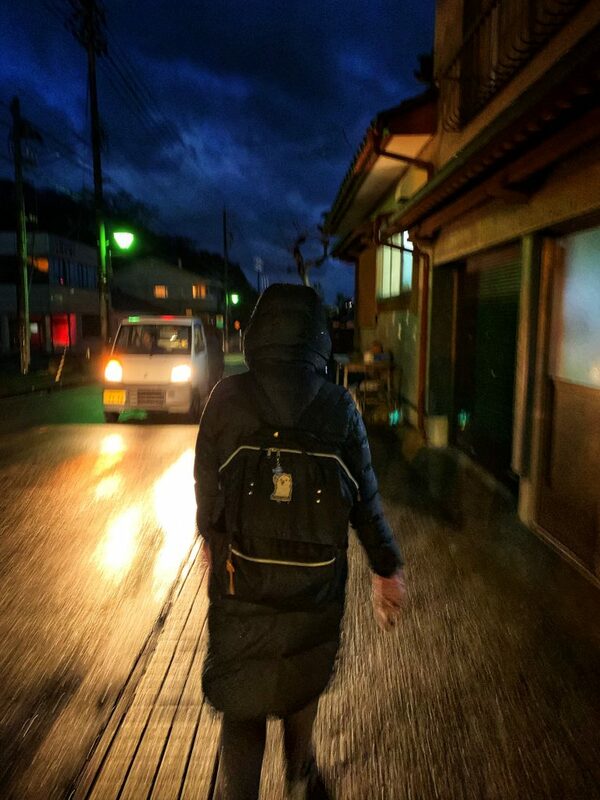 We walked to the train station through small town rural Japan. Again, it felt like walking through my home town (minus being able to read the signs). It was getting dark and the rain continued to drizzle down, so it was nice to get on the train and get back to the hotel. Our walk back to the second last train stop, through a series of small towns. See the full album of our cliff adventures here. 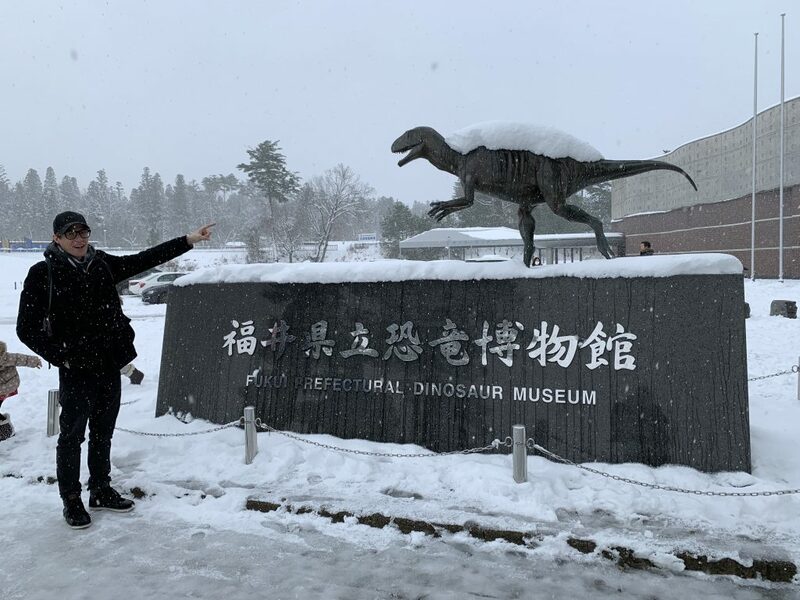 Day 3 in Fukui was the reason we went to Fukui in the first place, dinosaurs! Like the day before, we boarded the small train line and made our way to the museum. We were able to get a packaged deal which included train tickets, bus tickets, and museum tickets all for a fraction of the cost of buying them individually! Yay us! 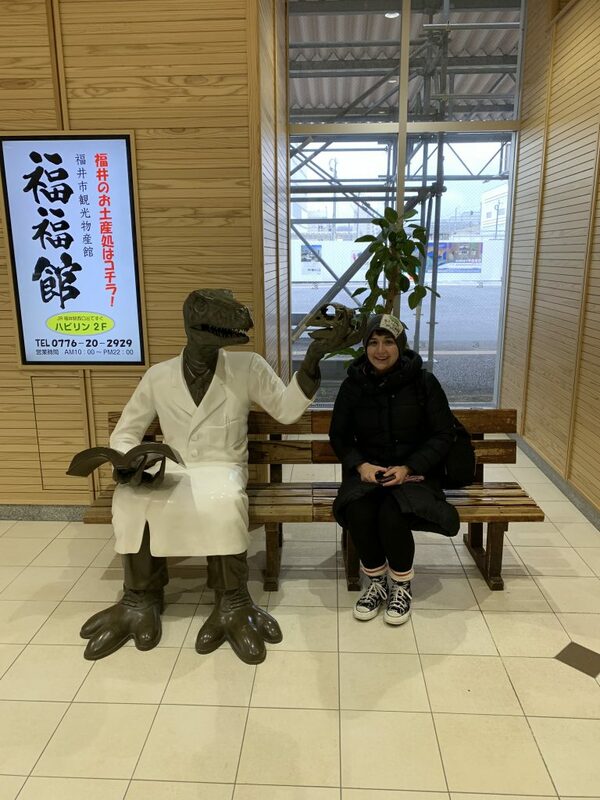 To get into the mood, Shyla posed with the local philosophical dinosaur. Shyla gets philosophical with a dinosaur statue waiting for the train. Like our trip to the cliffs, it was a short train ride, maybe 45-60 minutes and we got off at the last stop. The train station was cute and the views were stunning. We weren’t the only people geared up and ready for dinosaurs either, we saw a cute child and his grandfather clearly going to the dinosaur museum. That said, I definitely think we were the most excited people WITHOUT CHILDREN. This also might not be an entirely true statement as I do think Shyla and I are “children”. At least we are in an emotional capacity. 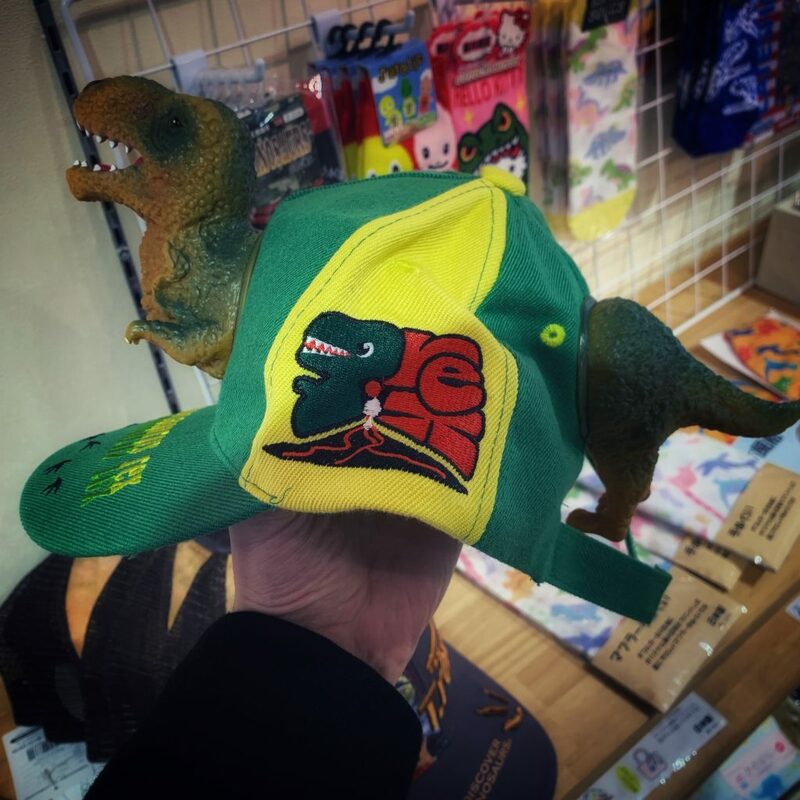 In this case, dinosaurs made us children. The last train stop on our way to the Dinosaur Museum. We had to wait about 10 minutes for the bus to show up. We assumed it would be a local transit bus, but what showed up was even more magical. It was a special dinosaur bus! On the side was a giant dinosaur decal and inside, dinosaur tea cozy like slips on the headrests. 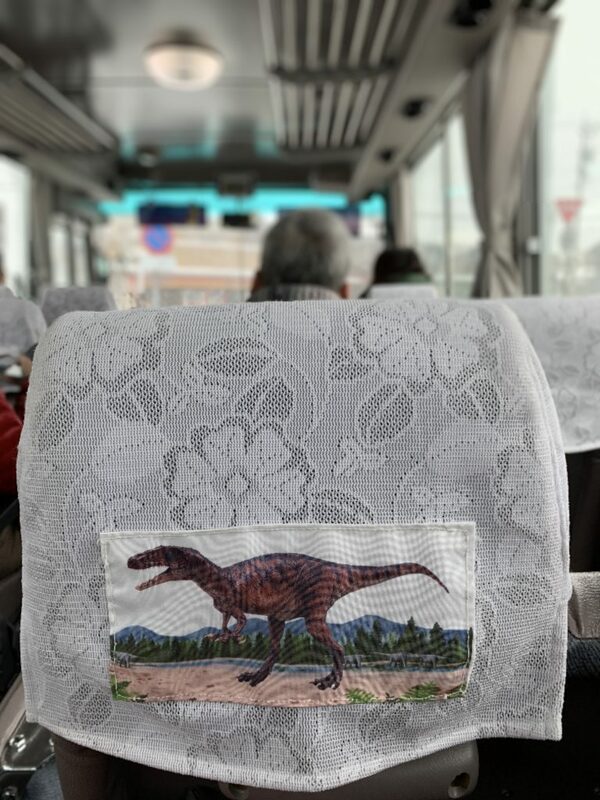 Even the buses have dinosaurs on them! Dinosaurs on the head rest! It was about a 10-minute bus ride and you can see it was snowing pretty heavily. Our original plan was to walk from the train station which was supposed to take about 10 minutes. After riding the bus Shyla and I both agree the bus was the correct choice. It would have taken us a long time to walk there. I don’t even know if we would have been able to make it because the way quickly turned into a forest and I don’t know if we would have had sidewalks. We pulled up to the dinosaur museum, the bus dropped us off and we got to start our dinosaur museum exploration! 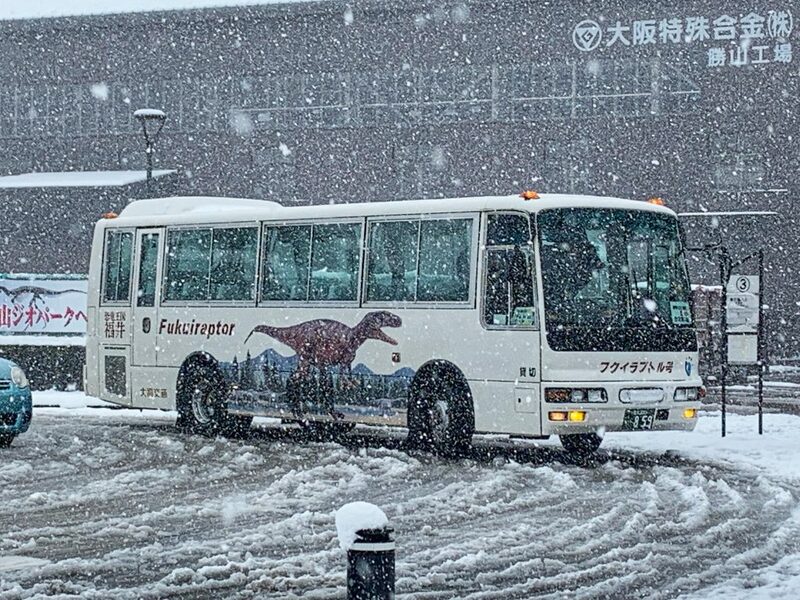 Snowy day for The Fukui Prefecture Dinosaur Museum. The building was pretty large inside and we spent about 3 to 4 hours in the museum. Inside, there were hundreds of dinosaur skeletons, fossils, dioramas, and animatronic dinosaurs. 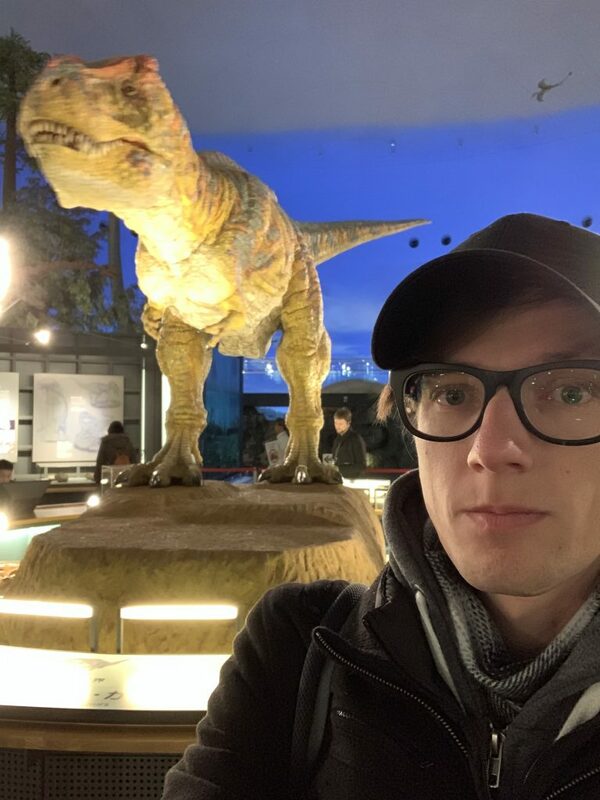 Including the legendary Fukui Raptor and a big Tyrannosaurus Rex with whom I managed to snag a selfie. Selfie with a T-Rex, his arms were too short to operate the camera, so I did. The main floor of the dinosaur museum was huge. 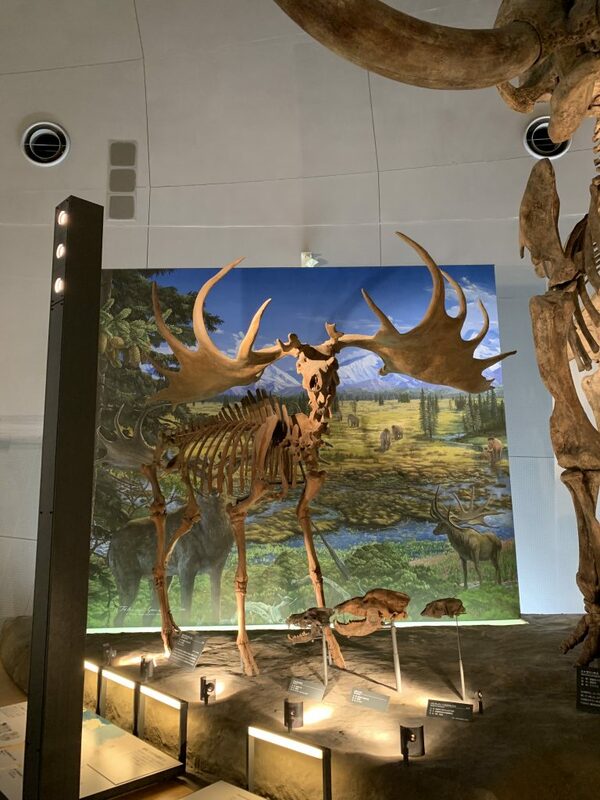 The room was a giant dome that even had a Brontosaurus stretching to the roof to access the leafy green branches of a tree on display. It was a truly awesome experience. I did my best to take some goofy pictures in the museum but I knew I’d have to act my age (13) as to not embarrass myself too much. Me “acting” afraid of these dinosaurs for the camera. There were so many great skeletons in this museum. Too many to include here. 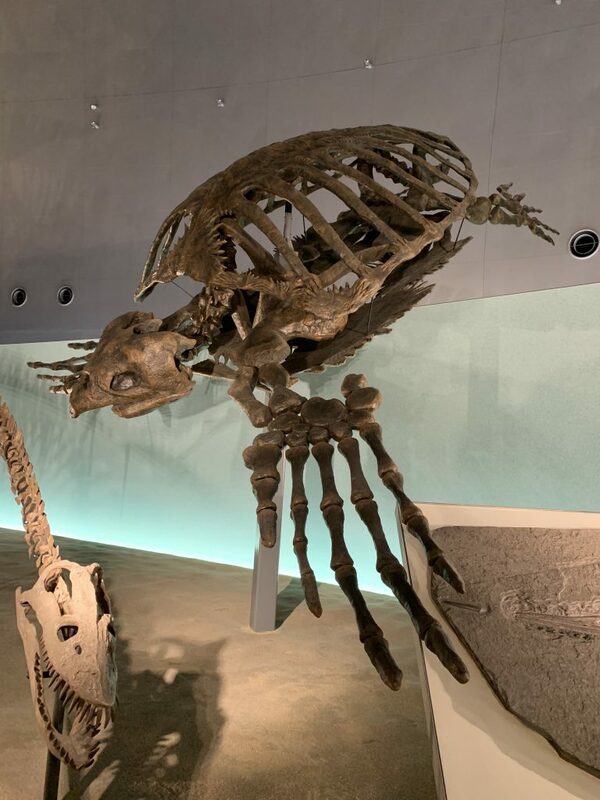 Upstairs, we saw a beautiful skeleton of a huge turtle. When looking closer at its shell it looked like a piece of art. The shell looked like it had wings sculpted into it. I couldn’t believe it’s size and beauty. Look at the shell on this huge turtle! The bone looks like wings. The photo below might one of my favourite shots of the day. This is called a death pose. The muscles contract and pull the dinosaur backwards, making an appearance of the letter “c”. That said, I see the dinosaur as a ballerina! 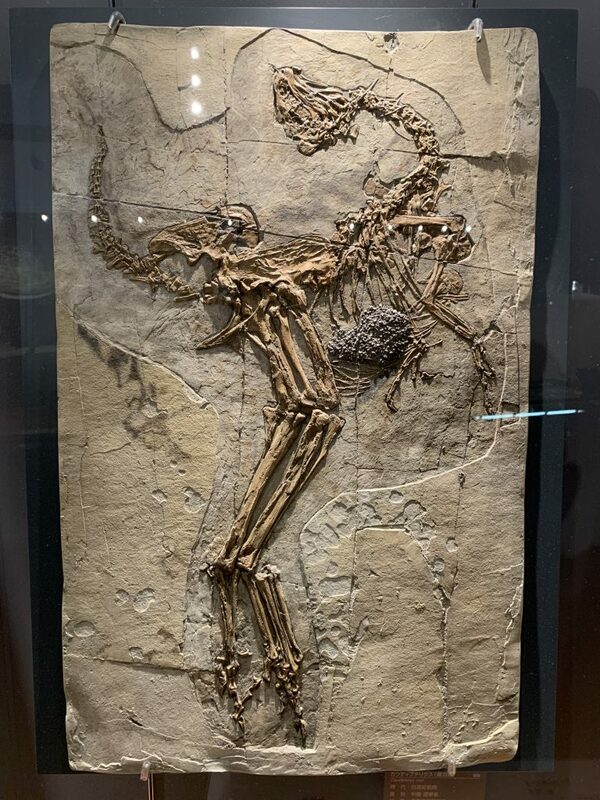 Joking aside I think this skeleton/ fossil is stunning. This skeleton looks like the dinosaur is a ballerina in my opinion. As we neared the end of the exhibits we also managed to spot some Canadian representation at the museum in a section called Visiting Researchers and International Museum Connections (Alberta). We also ran into this creature, I believe he/she is a relative of the common day moose. Is this a moose? meese? mooses? cousin? As we were getting ready to leave we took some more goofy photos. Mostly in the children’s area, the gift shop, and outside. 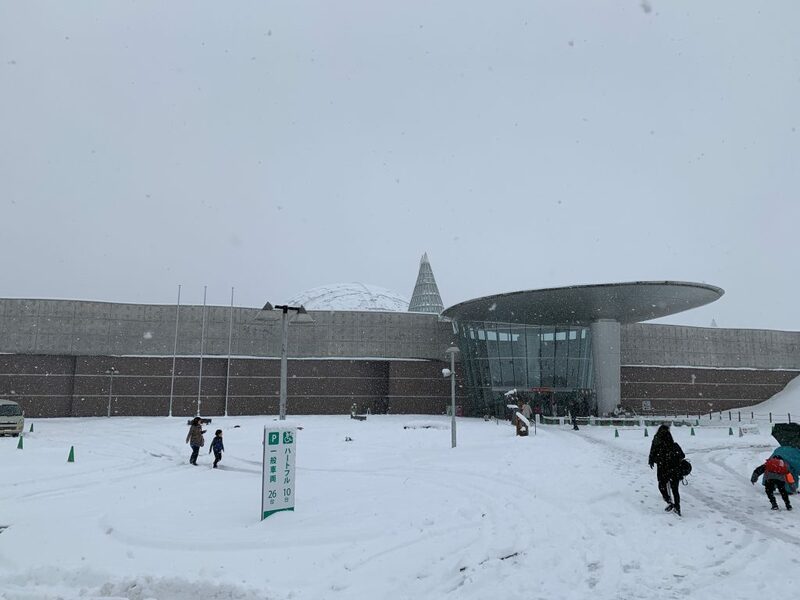 Once we got our sillies out, we boarded the bus and went back to the train station to head back to the Fukui city centre. 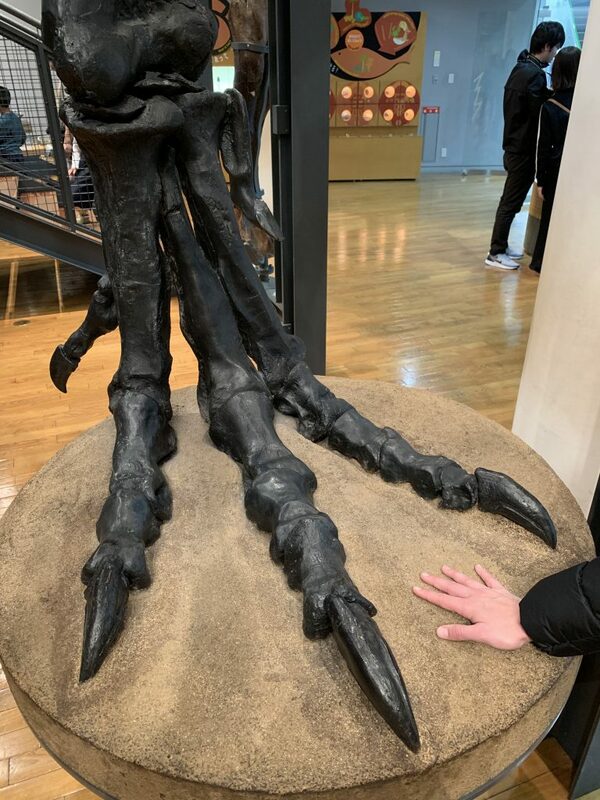 Shyla comparing her hand to that of a T-Rex foot. Eat more vegetables Shyla. 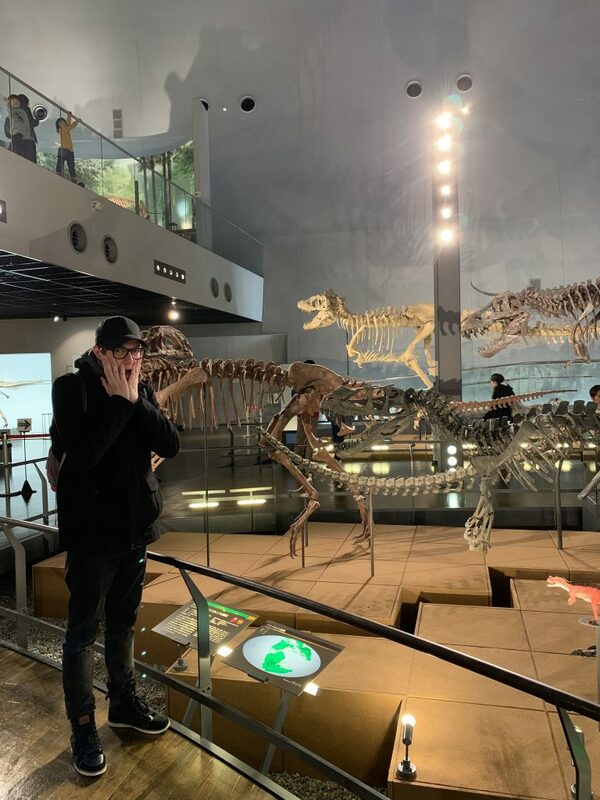 Ryan, pointing at dinosaurs, because he can… goof. This hat is a work of art. That said, it can only be truly “pulled off” by someone with a stunning fashion vision. Oh yeah, remember those scenic views on the train I was talking about? Here are some examples. The snow made it look absolutely breathtaking. Our views on the train ride back were stunning. 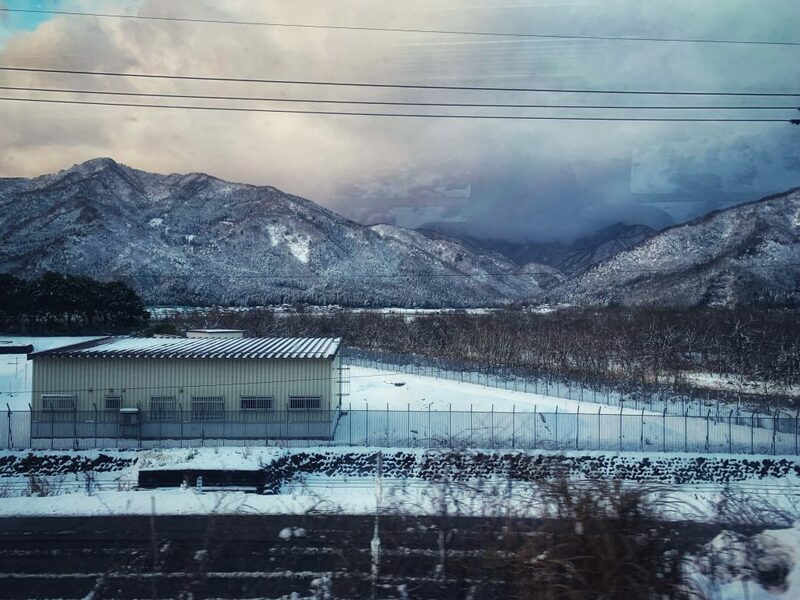 More beautiful landscape photos from the train. More dinosaur photos can be found here. 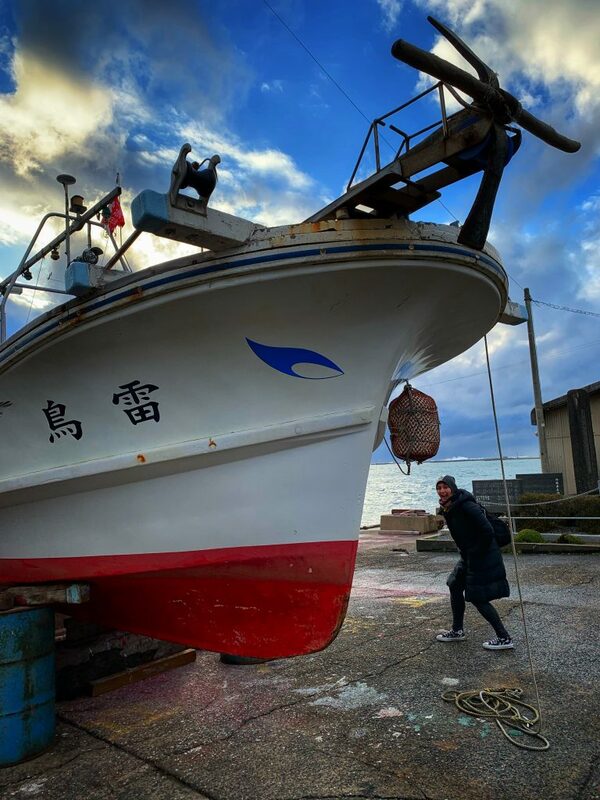 There wasn’t much left to do in Fukui on our last day. We checked out of our hotel room and left our bags there so that we could explore around our hotel. Shyla wanted to see the shrine right behind our hotel and there were also the Fukui Castle ruins somewhere nearby. We first went looking for the ruins which we found very quickly. We walked past them the previous night when we were looking for food. There is literally nothing left of the castle except the walls and the moat. Inside, modern-day government-style buildings. I think there was some controversy in the decision to put these modern government buildings in that space, but what can you do now? Have a look at the walls and the moat! I still think it’s a cool sight, right in the middle of the city. The walls, moat, and bridge are all that remain from the Fukui Castle Ruins. 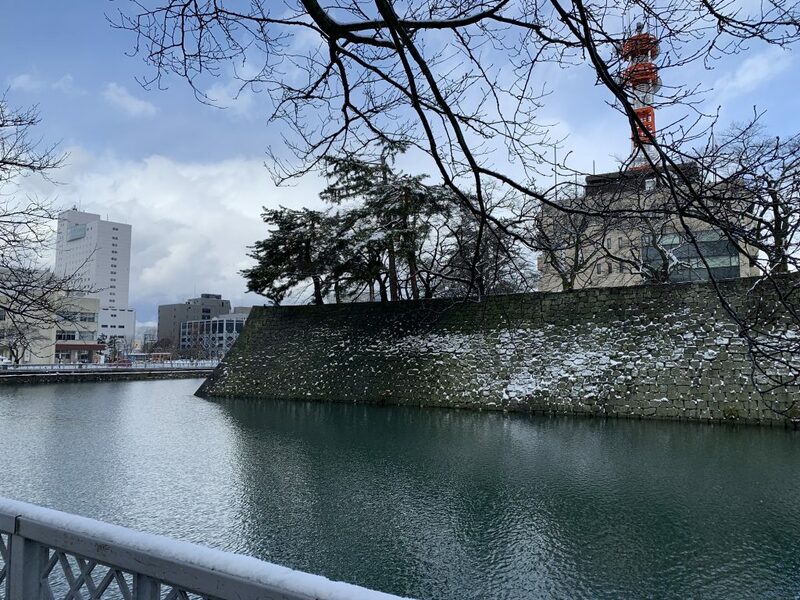 Fukui Castle moat and wall. 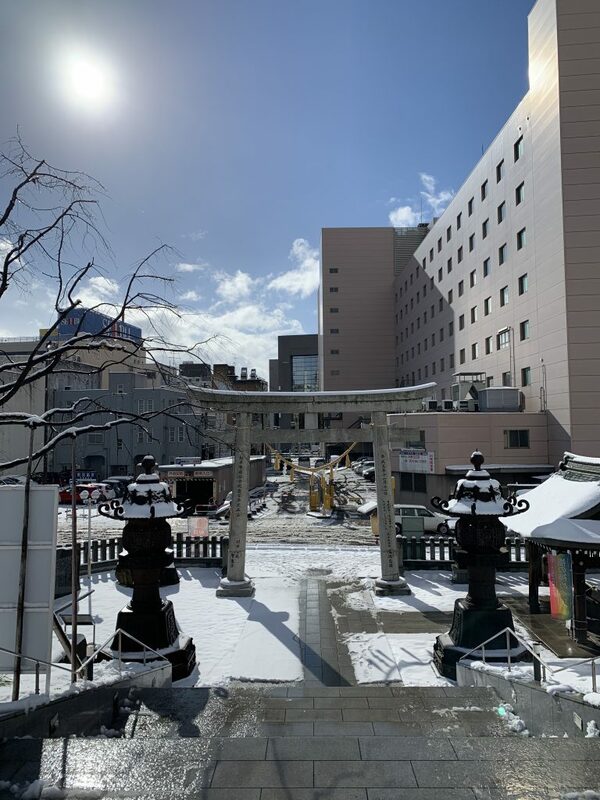 Immediately behind our hotel was a beautiful shrine. 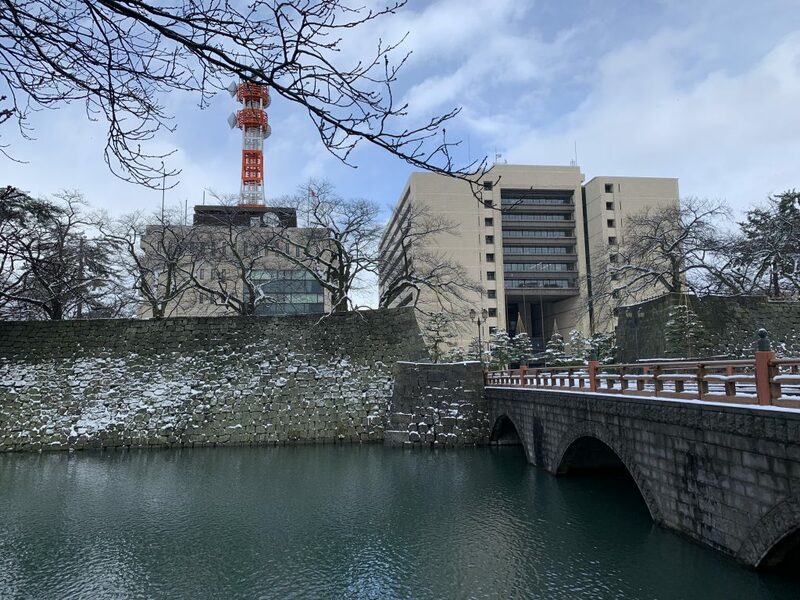 We walked around that for a while before picking up our bags and heading to the train station so that we could continue to our next stop, Kanazawa! The shrine right behind our hotel, we could see it from the window. Our last day of Fukui and the first day of Kanazawa photos can be found here.